The agile methodology started out as an alternative take on project management in software development. Back in 2001, a team of IT professionals with a visionary approach laid down its principles in the Agile Manifesto. Agile promotes the profound concept that large projects can be broken down in smaller tasks. They are then completed in manageable chunks and prioritized and iterated as needed. Because of its immense benefits to productivity and workflow flexibility, today teams from all kinds of industries have embraced the agile mindset. Product development, marketing, and sales are just some of the activities that can be accelerated and improved with it. The agile methodology has been successfully applied with the popular project management tool Trello. It’s among the top choices for organization software that can accommodate the principles of agile. Trello is based on the Kanban productivity system. Below you can find an overview of what agile is, why Trello is great for agile, and how you can use the tool so to apply the smart work methodology in your team. The philosophy behind the agile approach to project management is simple, but powerful. Large projects are split up in smaller chunks of work. They are scheduled according to an insightful prioritization process. The groups of tasks are then executed in continuous iterations, which are coordinated across teams. Tasks can be easily re-prioritized and moved around as the need arises. The main principles that agile stands for are flexibility, collaboration, and an iterative approach to work. The agile philosophy has been applied in software development through a number of methods. The Scrum methodology is one of the most popular applications of the agile approach, as well as Kanban and Lean. Many of these methods have been adopted in other fields such as advertising, content creation, sales, and even management. A typical approach to applying the agile methodology is to run sprints. The project leader segments the work in smaller bits. Then they schedule a certain part of it for execution within a week or two. They also prepare a detailed breakdown of the tasks in the sprint. Team members gradually move them to completion within the fixed timeframe. Within the large pool of project management tools on the market, Trello stands out as a great option for embedding agile in your work. Besides being closely associated with the Kanban methodology, the tool is renowned for its simplicity and ease of use. These characteristics also contribute to its star status in the field of agile. Trello works like a traditional whiteboard — but in a digital form. That’s why the tool can provide full visibility on your work. The format also matches agile’s framework perfectly and makes its application seamless. 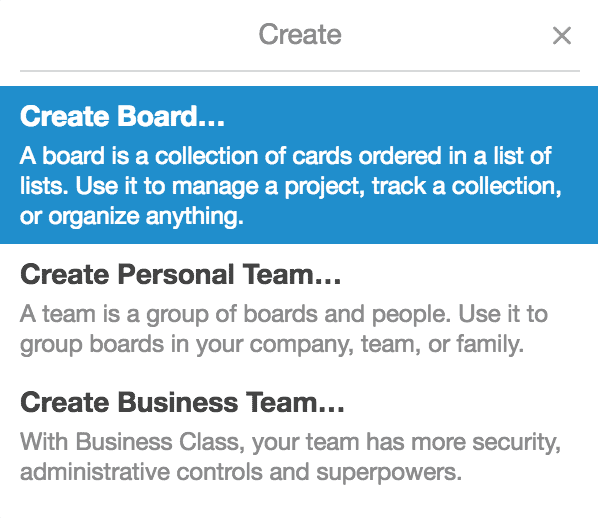 When you sign up for Trello, you can create a number of boards within your personal or team workspace. Boards contain lists, which are groups of tasks. You can fill up the lists with individual tasks, which you can input in the form of cards. You can easily rename and reorder lists to match the current needs of your team or the project you’re working on. The same goes for cards. You can move them from list to list with no hassle. Each card can contain a description, a checklist with subtasks, additional attachments, assignees, due dates, and labels. Team members can discuss aspects of the task in the comments within the card. If a new person is added to the card, they can immediately get the whole picture from previous discussions. When you transfer a card to another list, all relevant information moves together with it. These capabilities make Trello great in terms of flexibility and very intuitive to use. While Trello is inherently suitable for applying agile, it’s useful to know how to set it up. That’s how you will be sure you are working with a truly powerful agile tool. You can see an example of a template board for using Trello for agile and check out the steps outlined below. The essential lists that you need for an agile-based sprint board are Sprint backlog, Current sprint, To do, In progress, QA, and Done. The Sprint backlog list contains tasks that need to be completed within the project at hand. The Current sprint list is dedicated to the tasks you want to accomplish in the push you’re planning now. You need to select these after prioritizing from the larger flow of work you have. The To do list contains actionable steps that need to be undertaken in the current sprint. You can move tasks from Current sprint to the To do list gradually, so that the To do list always remains rather short. When a team member takes charge of a task, its card is moved to the list In progress. It’s useful to assign due dates for completion, so that cards don’t stay pending for too long. After the person completes it, the card goes to the QA list. All finished and approved tasks are stored in the Done list. The goal for each of your sprints is to move tasks from the Spring Backlog list the leftmost part of the board to the Done list on the rightmost end. Here are the individual steps to launch your agile Trello board. 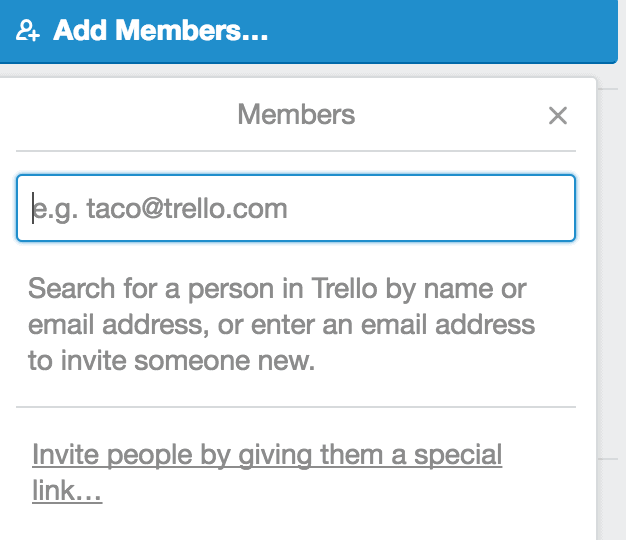 If you’re not already on Trello, you need to sign up and create a profile. Then click on the + button next to your profile and choose Create Team. Now you set up the team workspace for all your colleagues. Then select Create Board to set up individual boards that will be dedicated to projects and sprints. 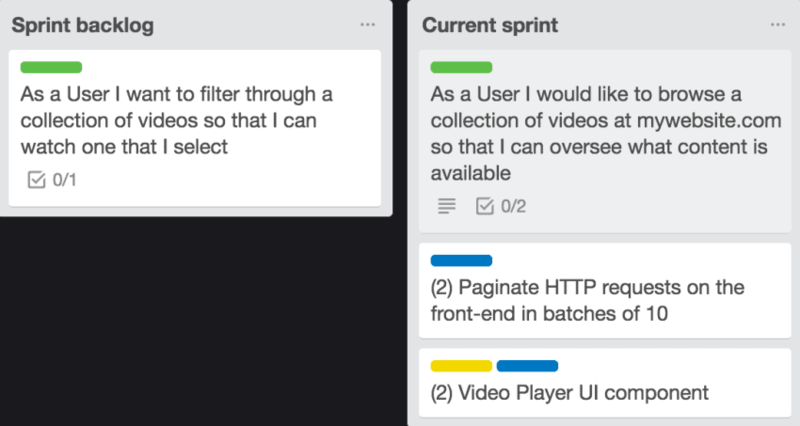 When you set up your Sprint Board, you can add the lists you need for running the sprint: Sprint backlog, Current sprint, To do, In progress, QA, and Done. In the next step, you need to consider what you would like to achieve with your current sprint. Set the goals on this basis, then segment large tasks into smaller chunks. Input each task as a card and place it in the appropriate list in your Sprint Board. One card always represents one task, which makes the board easy to operate. Your next move is to give access to the workspace and relevant boards to team members. You can do that by clicking on Add members. Then enter people’s email addresses, and they will be invited to join the board. When your colleagues have accepted your invitation, they will appear in the list of members in the right side of the board. Once your team members join the board, you can add people to cards. That way they receive all notifications related to a task. When it comes to running sprints, it’s best to add people to cards only when it’s clear they are taking on the responsibility for the respective task. That’s how you can keep a high level of accountability during sprints. For other types of boards, it may be useful to have people on a card just so that they are kept in the loop. While simple to use, Trello is packed with useful features. Cards can contain all types of information about the task at hand, which makes them powerful and independent units in your workflow. You can add a relevant title to the card, which makes it recognizable in the list. Then you can input a description that explains important aspects about the task and how it can be executed. You can also attach relevant documents, links and images. They can be added whenever needed. In this way, anybody on the team can quickly get access to them. Cards also have a comment option. It allows team members to exchange information and discuss relevant aspects of the task without exiting Trello. Splitting larger units of work into manageable tasks is only the first round of segmenting you need to go through. 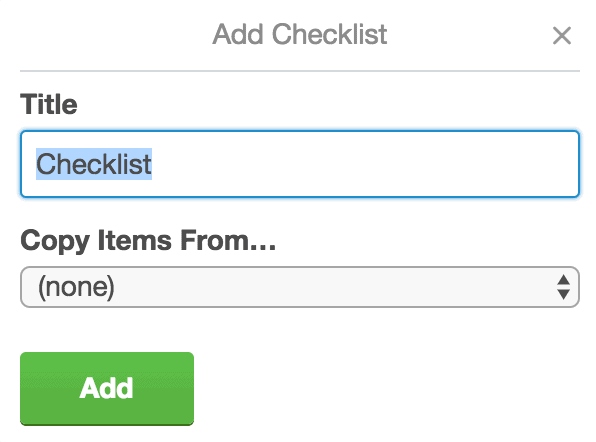 If tasks have subtasks that you can define, you can enter them as a checklist. This will help team members complete tasks in chunks. It also provides better visibility on the progress that’s been made. The purpose of running a sprint is to complete a certain portion of work in a fixed timeframe. That’s why you need to set due dates for the tasks at hand. Once a team member takes on a task, you can work together on setting a realistic but ambitious deadline. Do this for each task in the current sprint. In Trello boards, you can create labels and organize your tasks with their help. Labels can be in different colors so you can easily recognize the different priority areas assigned to each. 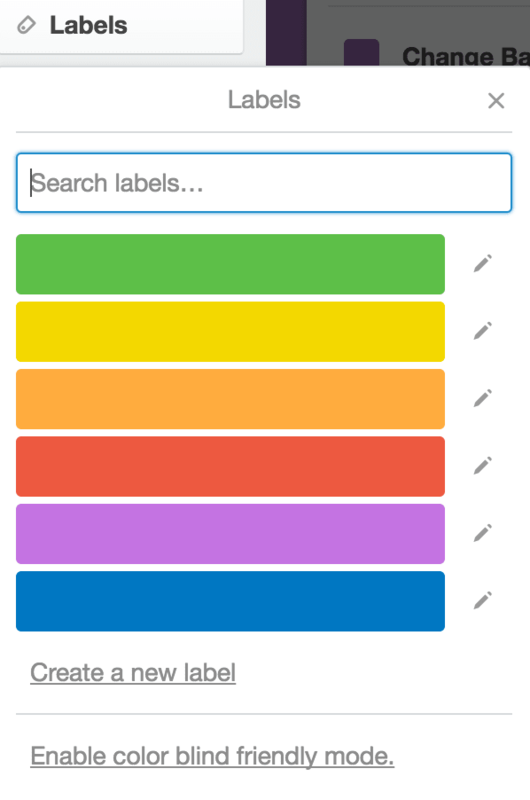 You can also name labels and use a system that combines colors and titles of the labels. For example, you can create a label for urgent tasks, or set a system of importance for tasks marked by color labels. While Trello does not offer time tracking, you can log hours directly within the tool via Hubstaff’s integration. If you need to stay accountable to clients, or just need internal time management, tracking hours on tasks within Trello is a breeze. Besides the basics about using Trello for applying an agile methodology, you can employ a few tips to boost your team’s productivity and motivation. They are psychological tricks that can reduce the stress for team members and shed light on successfully completed work. The typical arrangement of lists on your Sprint Board puts your team’s accomplishments in the rightmost part of the board. In most cases, this means the Done list is not immediately visible when you open the board. A smart trick to motivate yourself and your team is to place the Done list of tasks in the leftmost part. The first thing you will see is what you and your colleagues have tackled in the current sprint or for ongoing projects. While it may sound a bit unusual, this approach can boost your team’s motivation. It can help you focus on accomplishments rather than only on tasks that need to be completed. The essence of the agile approach is simplicity and handling tasks one by one. Instead of overloading yourself and the team with thousands of tasks at once, keep the tasks in the To do list to a manageable minimum. When a team member completes a task and moves the card to the QA or Done lists, you can coordinate with them and assign a new one. This ensures people can meet their deadlines without unnecessary stress brought by a big pile of tasks they need to consider at the same time. While you may want to rush through a sprint, some tasks always depend on factors you may not have control over. Sometimes the number of blocked tasks can become considerable and can clog your To do list. While you may not be able to change external circumstances, you can create an On hold list. You can store there all tasks that are currently blocked. Then the status of these tasks is clear, and you don’t need to worry about them every time you look at the To do list. At your next team meeting, you can address what’s impeding the completion of these tasks and find workable solutions without interrupting people’s workflow. You can take a similar approach to good ideas that cannot be immediately put in action. Instead of keeping them in your head, create a list in the board where you can store such pending tasks. Over to you: how are you using Trello for agile? Today the agile philosophy is certainly not reserved for software development only. Teams from all kinds of industries and sizes are benefitting from the agile principles to improve their workflows and boost their productivity. Trello is a top choice of a project management tool for applying agile. It’s easy to get started – and only with a few tricks, you can ace your team’s agile processes in no time. What are your best tips for using Trello for agile? We’d love to learn about them – please share them in the comment section!